Audio software, video software, programs to watch movies, software to listen to music, television software, programs for free download Eusing Free Video Converter, Fast Desktop Recorder, FSS Audio Converter, MediaHuman Video Converter, TAudioConverter, Audioro Converter, MediaHuman Audio Converter, MediaHuman Music Converter, Helium Audio Ripper, Helium Audio Converter Download for free! »» Free download Eusing Free Video Converter! Eusing Free Video Converter ::: a computer program that allows users to convert between different video formats. Using Eusing Free Video Converter can convert video into most popular formats. Eusing Free Video Converter is mainly used to convert video to different mobile devices. »» Free download Fast Desktop Recorder! Fast Desktop Recorder can record the full screen, an active window or a fixed area. »» Free download FSS Audio Converter! An interesting feature offered by FSS Audio Converter, is that it allows to merge multiple audio files into one. 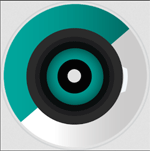 »» Free download MediaHuman Video Converter! MediaHuman Video Converter is very useful for converting video to different mobile devices. An interesting feature offered by TAudioConverter, is that allows to extract audio tracks from audio CDs. »» Free download Audioro Converter! 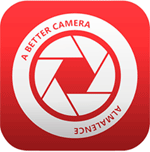 Audioro Converter is very useful for converting audio to various mobile devices. »» Free download MediaHuman Audio Converter! An interesting feature offered by MediaHuman Audio Converter, is that it allows batch processing. »» Free download MediaHuman Music Converter! MediaHuman Music Converter ::: a computer program that allows users to convert music. Using MediaHuman Music Converter can convert all your music in different audio formats. MediaHuman Music Converter supports and is compatible with most popular music formats. »» Free download Helium Audio Ripper! Helium Audio Ripper ::: a computer program that allows users to rip music from audio CDs. Using Helium Audio Ripper can save all the music from your CDs to your hard drive. Helium Audio Ripper is very useful for backing up your audio CDs. »» Free download Helium Audio Converter! Helium Audio Converter ::: a computer program that allows users to convert between different audio files. Using Helium Audio Converter can convert audio files into the most popular formats. Helium Audio Converter is a program to convert audio fast and very effective.